 The 2nd Young Scientist Symposium was held on November 21st, 2017 at the UniversitätsSpital Zürich. 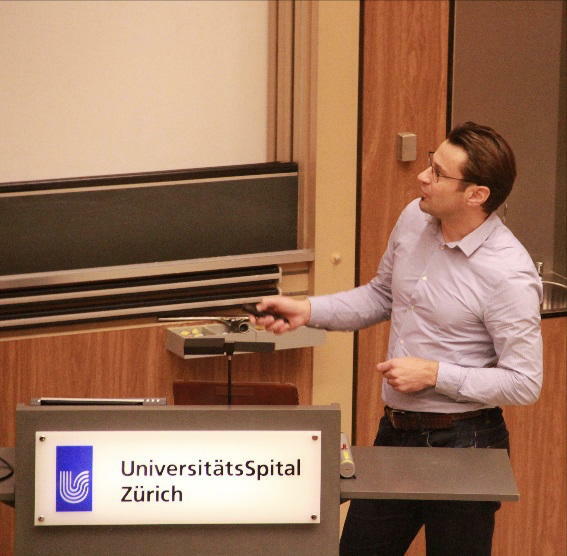 The aim of the symposium was to give young scientists from ETH, EPFL and other Swiss universities and Foundations, a platform where they could present their research in the biomedical field and establish collaborations between the universities. 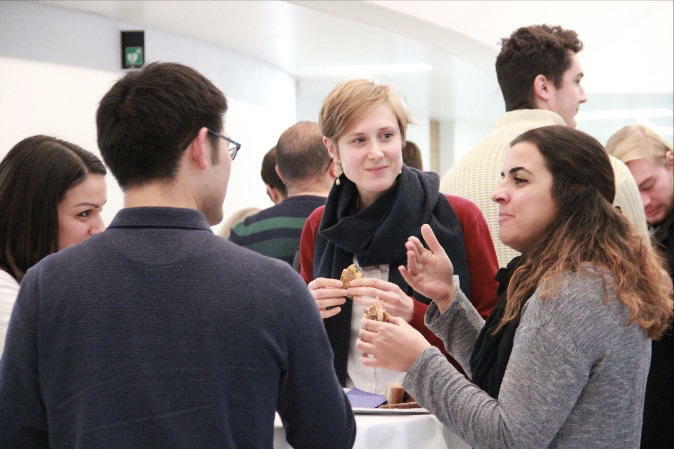 The symposium encouraged networking and the exchange of ideas by providing time for discussions and interactions during the poster session, lunch, coffee break and apéro. 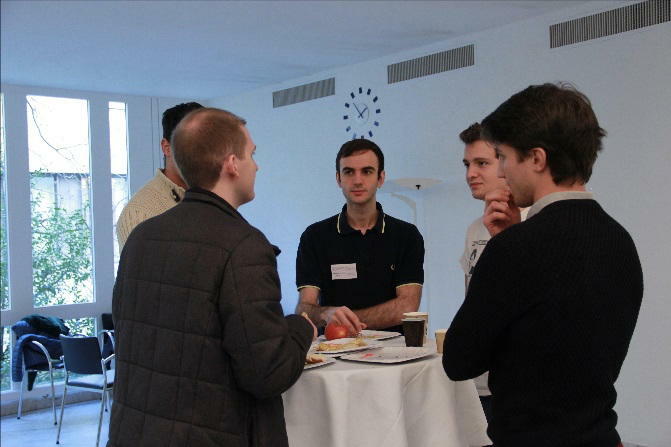 The 2nd Young Scientist symposium was characterized by lively discussions and fruitful networking during lunch, coffee breaks & apéro. The event featured two keynote speakers with extensive knowledge about biomaterials and tissue engineering and with experience in translating their academic research into the market. The first keynote speaker was Prof. Matthias Lutolf, director of the Institute of Bioengineering (IBI) at EFPL and head of the Laboratory of Stem Cell Bioengineering, who presented his recent progresses in the field of stem cells and organoid research. 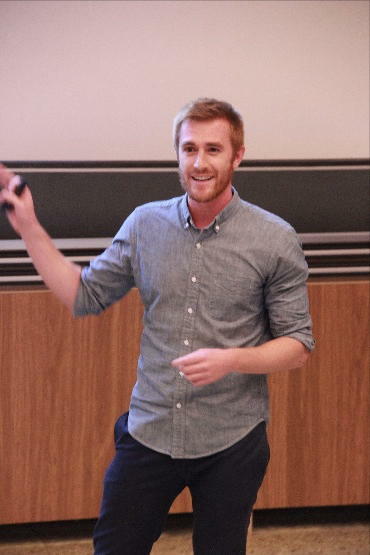 Dr. Christopher Millan, co-founder and CTO of the start-up CellSpring, gave an insight about his journey from being a cartilage engineering doctoral student to the foundation of a start-up in the in vitro diagnostics and biomarker field. Prof. Lutolf and Dr. Millan giving two insightful and inspiring keynote presentations. 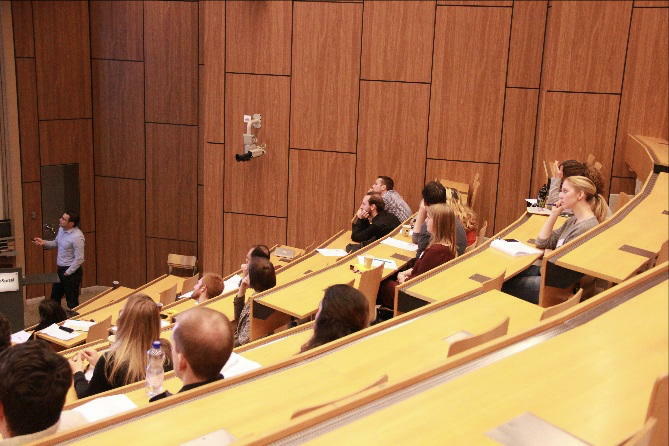 52 scientists attended the symposium: 6 master students, 35 PhD students, 8 post docs/senior scientists and 3 professors. Students and researchers came from several research institutes: ETH Zürich (20 people: 12 from D-HEST, 4 from D-MATL and 4 from D-MAVT), Zürich University (1 from the Centre of Dental Medicine and 7 from the University Hospital), EPFL (2), AO Davos (7), Friburg University (1), Basel University (1), Empa Sankt Gallen (3), ZHAW (3), Bern University (1) and Kinderpital Zürich (2). In addition, there were 4 researchers from the industry environment: Geistlich Pharma (1), CellSpring (1) and SUN Bioscience (2). Five PhD students were awarded with travel grants to assist to the event. During the day 8 students showcased their work with a 12-minute oral presentation, while 7 presented it with a 4 minute rapid fire presentation in front of their posters. 12 additional posters were exposed and explained during the poster session. Each presenting student was evaluated by a jury composed of esteemed senior scientists. The jury members not only provoked the presenters with concise questions related to their project but also evaluated their work and assigned several awards. 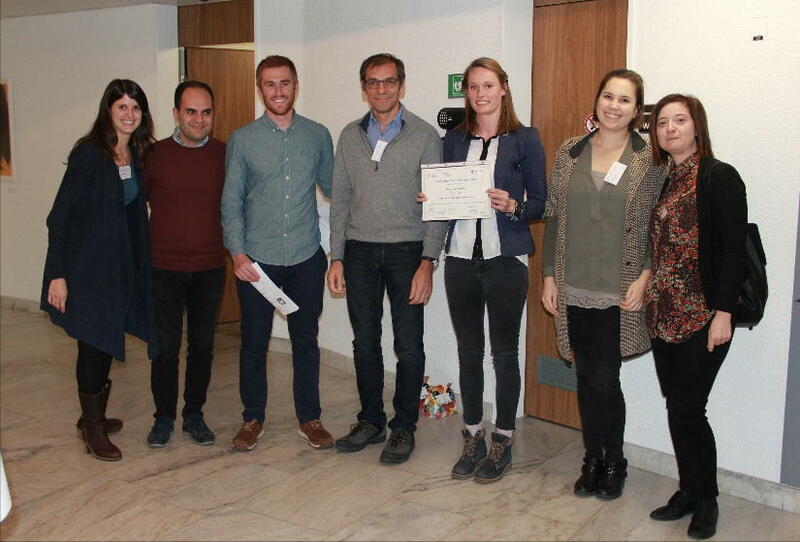 At the end of the day the “best poster presentation” was awarded to Tino Stauber, the “best rapid fire presentation” was won by Marco Binelli, the “best oral presentation” by Giulia Morgese and the “very best oral presentation” by Sonja Giger. Sonja Giger receives her award from the members of the jury and organizers.